﻿ Best Price on Posada Jaco in Jaco + Reviews! This property is in high demand! Up to 30% off with Agoda Insider Deals! Prices drop the moment you sign in! 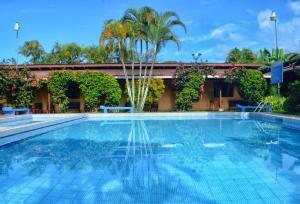 Located just 60 metres from Jaco Beach, Posada Jaco offers an outdoor pool, a sun terrace and free Wi-Fi. Each air-conditioned apartment has garden views and a fully equipped kitchen. The Posada Jaco apartments feature bright, functional décor and tiled floors. All apartments have 1 bedroom, a living-dining area with cable TV and a private bathroom with a shower and free toiletries. 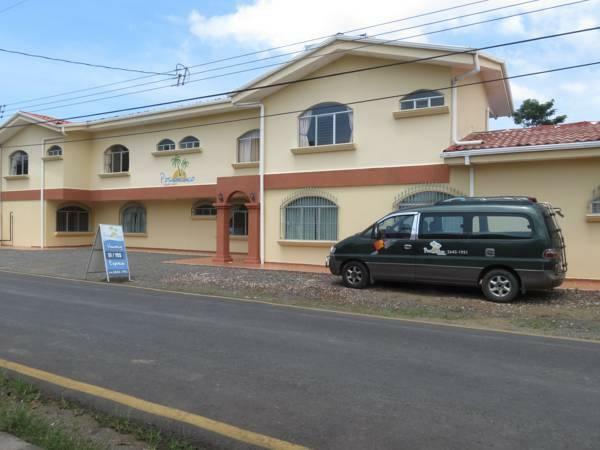 Posada Jaco is situated in central Jaco, within a 5-minute walk of bars and restaurants. Hiking, sports fishing and horse riding are possible nearby. Juan Santamaría International Airport is a 1-hour drive away. Free Wi-Fi in all rooms! Minimum age of guests is: 0 year(s). When booking more than 5 rooms, different policies and additional supplements may apply. Extra beds are dependent on the room you choose. Please ask the property for more details. This is a popular property. Don't miss out! Experiences on Agoda. Because your room is just the beginning. All material herein © 2005–2019 Agoda Company Pte. Ltd. All Rights Reserved. Agoda is part of Booking Holdings Inc., the world leader in online travel & related services.